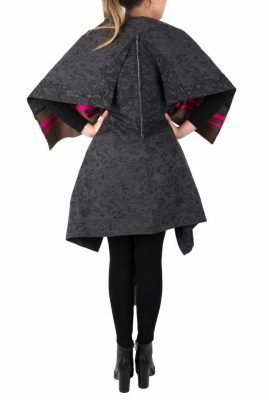 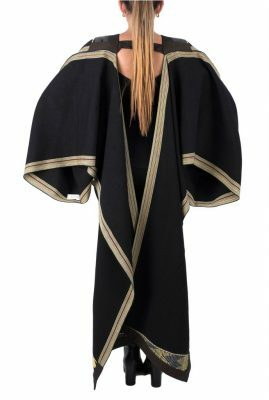 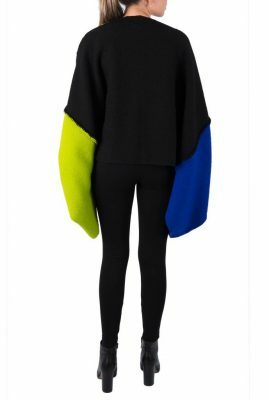 The cleverly designed Mantarray Casaray cape can be worn in multiple ways. 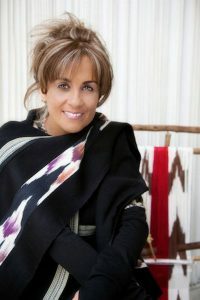 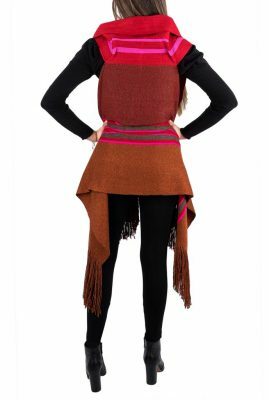 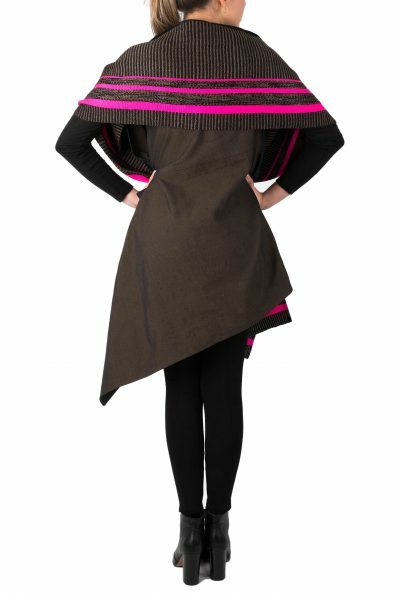 Depending on the wishes of the wearer, it can function as a vest, given the collar and pockets, but it can also be worn as a poncho or mantle. 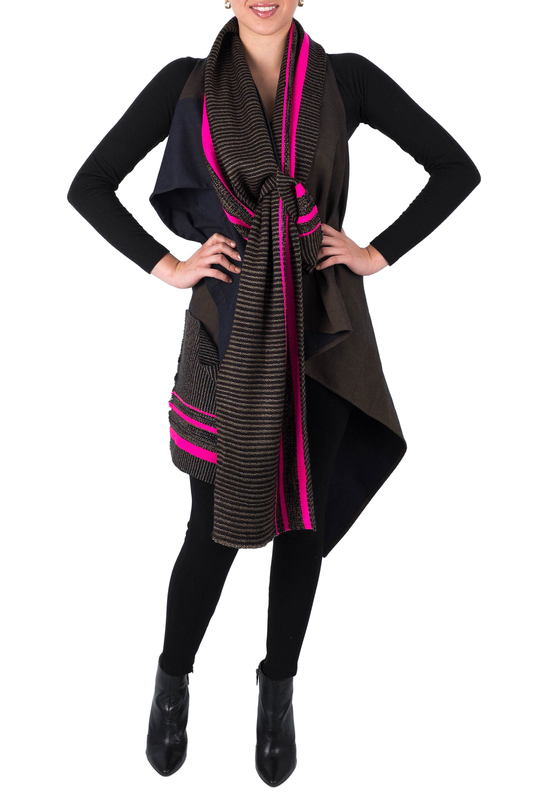 The ultimate pièce de résistance of this item is the marvelously incorporated scarf. 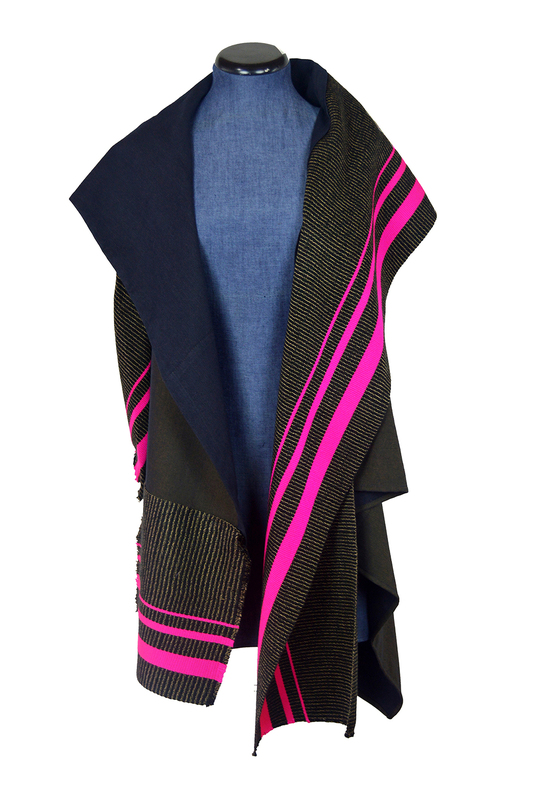 Reflecting light as well as shadows, the contrast between the pink elements of the scarf and the marine blue and green denim, gives this piece a unique look and feel. 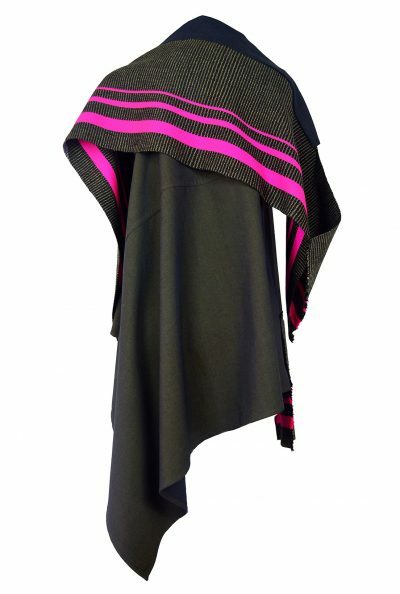 Using ancient old loom-weaving techniques, this exclusive piece is entirely manually made by native communities living in southern regions of Colombia. By ensuring these practices don’t die off, this capote is an ode to ethnic craftivism. 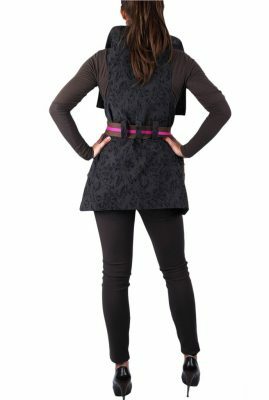 Product code: AS010201 Category: Vest.